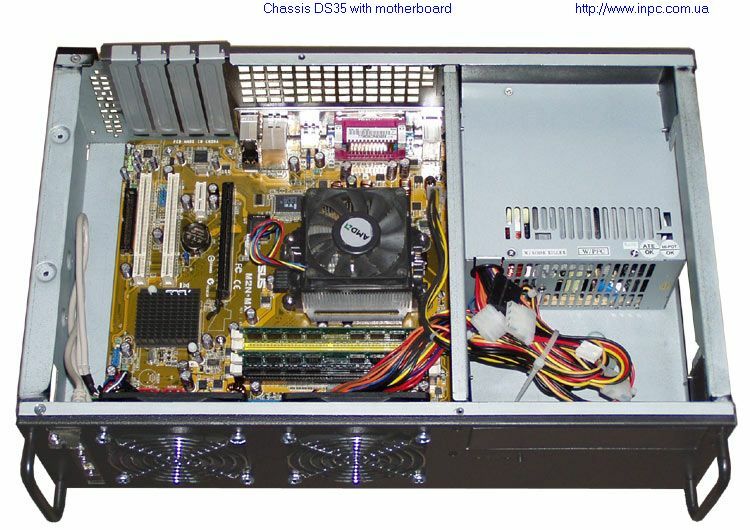 Very compact solution for systems based on Micro-ATX form-factor board with P4 CPU and CDD. 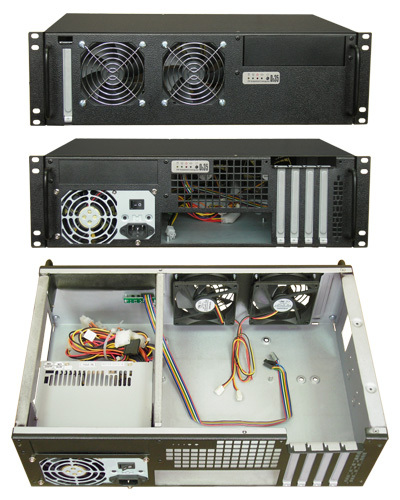 Chassis is designed to provide significant savings in rack-mount real estate usage in 3U rack mount space (using a wide range of regular PC hardware including extension cards). 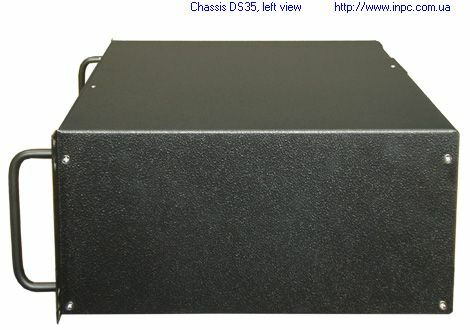 Chassis features: a two-way mounting cover with possibility to have the rack mount brackets, CDD, I/O and power supply connectors at the front or at the back (no need to remove the unit for CDD change and routine cable maintenance). 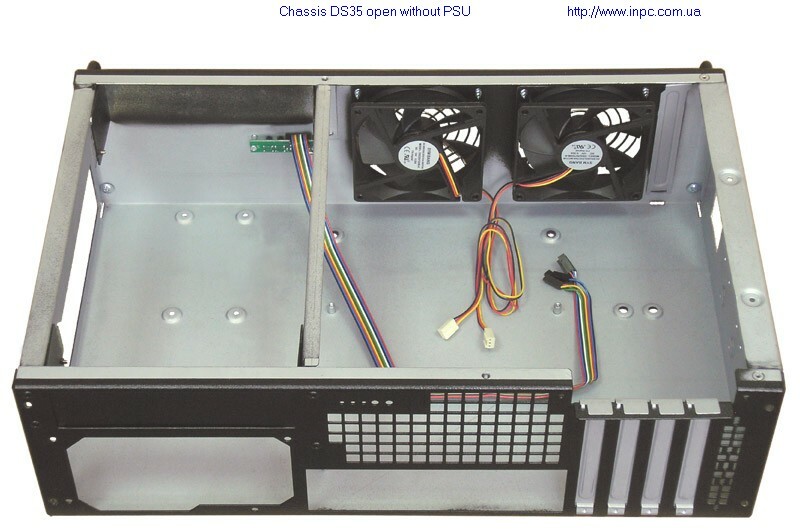 Two chassis can be placed in the same 3U bay of standard 800mm deep rack. 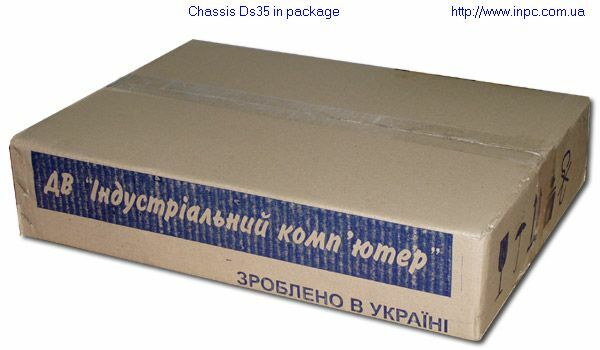 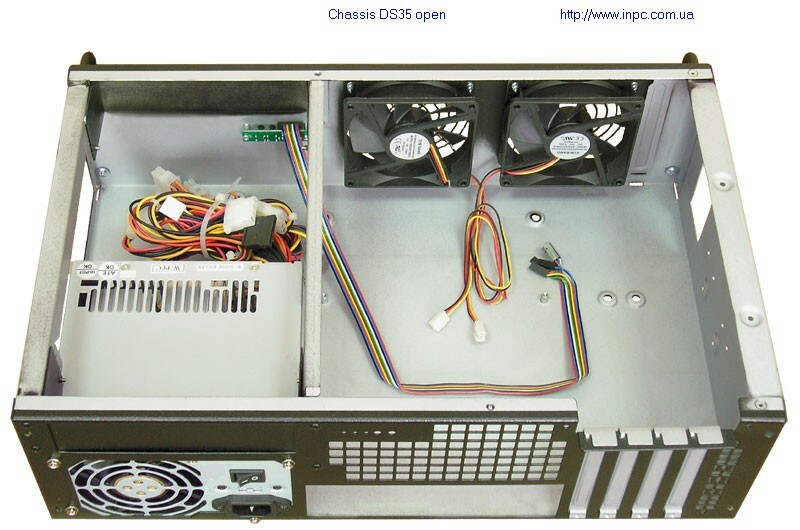 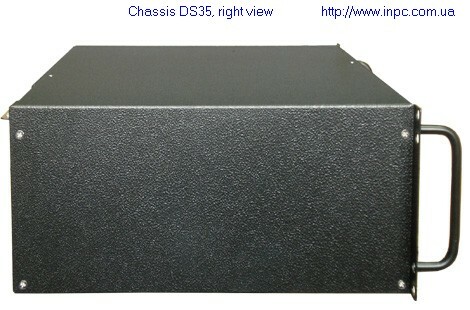 Thanks to compact design and perfect cooling, chassis can be used for building high-density 3U server solution that meets the high demands of today's business computing environment in non-deep racks or in add-on mini-cabinets within limited spaces (bandwidth monitor, firewall, router, small server). 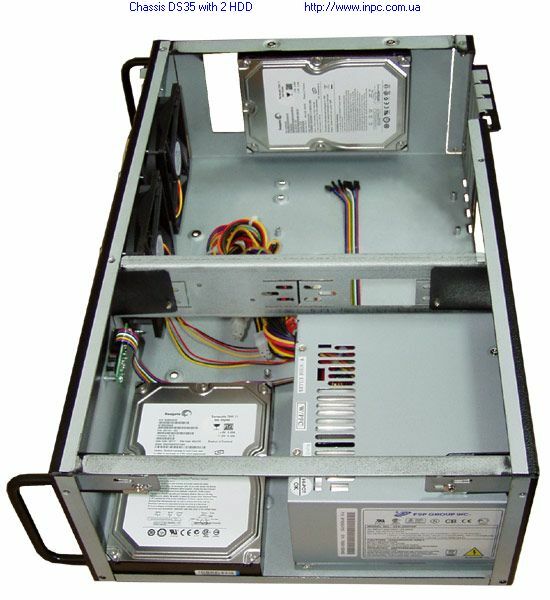 You can install one 5,25" drive on the front panel of chassis (photo on the left), or on the back panel, with back way mounting in the rack (look at the photos above). 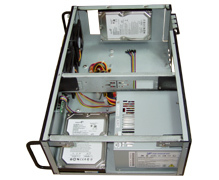 You can place up to two 3,5" HDD in chassis without any additional equipment. 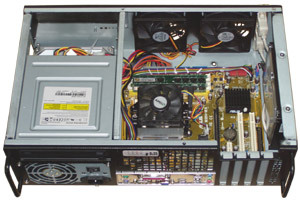 One HDD you install in front of PSU and the other on the right panel. 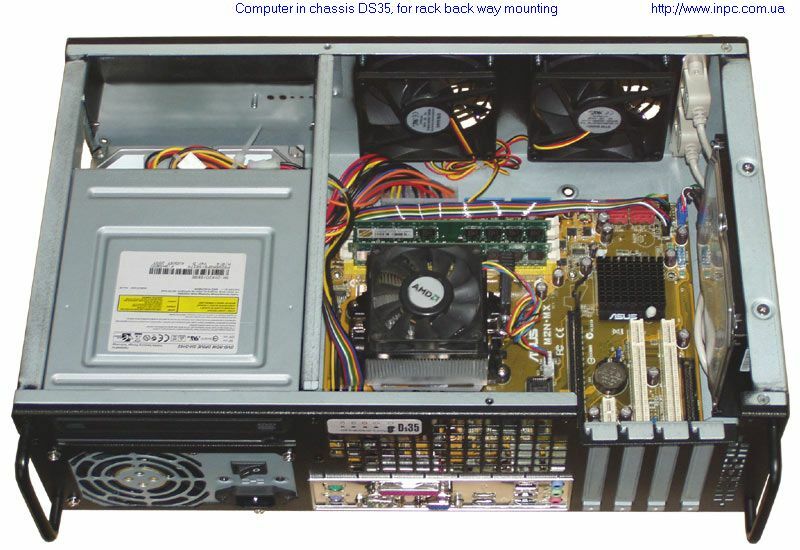 Both HDD you fasten with pan head screws.